The dock is located at the end of Marina Drive in Irondequoit at Voyager Boat Sales. Here is a MAP to Voyager Boat Sales. J oin RPCN for a fun summer night dinner cruise on Wednesday, July 26, 2017. 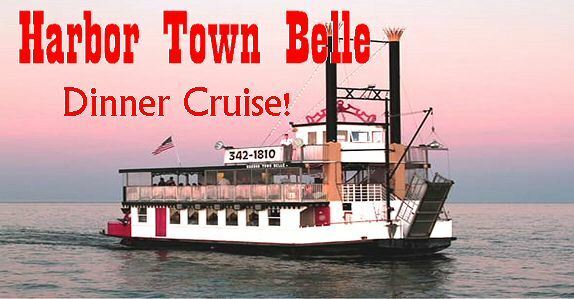 We will cruise along the Genesee River, Lake Ontario shoreline and Irondequoit Bay on the Harbor Town Belle. The dinner buffet on this cruise includes: ham and chicken, potatoes, vegetable, garden salad, rolls & butter and a non-alcoholic beverage. There is a cash bar available. The cost for this cruise and dinner is $28.00 per person. You must register on this website by Monday, July 24, 2017.